The MCP2221 Breakout Module is a development and evaluation platform comprised of a single DIP form factor board. 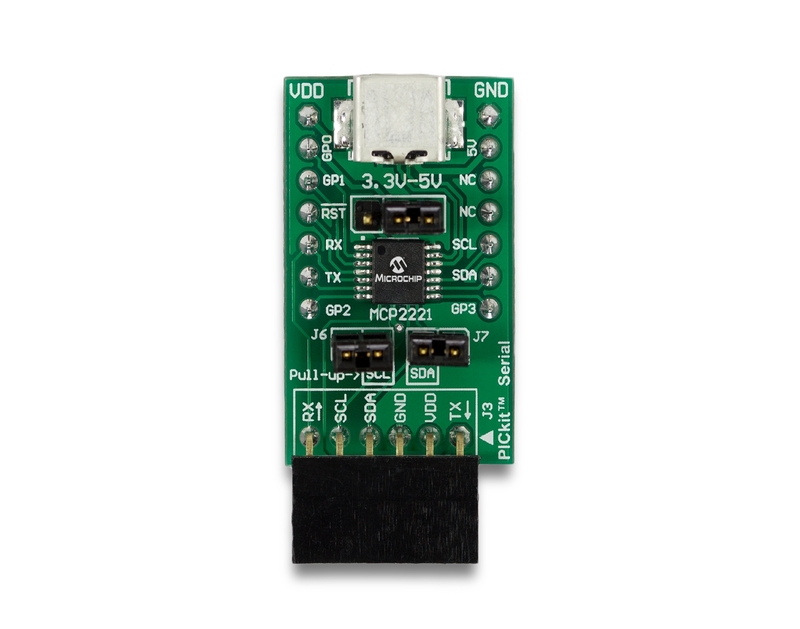 The supporting software provided demonstrates the capabilities of the MCP2221 device as a USB-to-UART/I2C/SMBus protocol converter. Additionally, this tool provides simple access for I/O control and the ability to establish custom device configuration. Custom tools can also be created through the use of the provided DLL package.